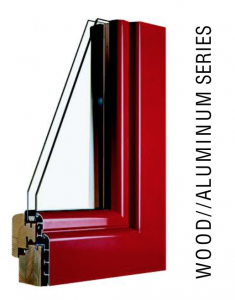 Bieber has crafted tilt turn windows, European windows and European doors. Since 1928, Bieber tilt and turn has been a revolution in the fenestration industry in blended old world craftsmanship with cutting-edge technology to deliver the finest authentic European windows. Everyday, Bieber Architectural Windows demonstrate an extraordinary degree of product intelligence and complex engineering. This style features the look and luxury of natural wood inside and out. Bieber’s special selection of the finest wood ensures beautiful high quality windows and doors for your project. Colors are an expression of personality and attitude towards life. Show off taste and choose from a range of colors which leaves nothing to be desired. Bieber’s architectural clad system is a thick extruded metal spaced away from the wood that allows natural wood ventilation. More than 200 RAL color powder coating choices are available, along with unique textured finishes, to provide a durable low-maintenance exterior. Bieber’s Wood/Bronze Series combines extreme architectural elegance with timeless strong protection. 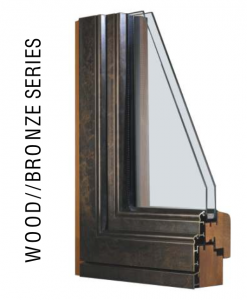 Bieber’s Bronze Series utilizes an extruded bronze cladding to produce one of the most beautiful and yet durable windows ever made. It’s available in a variety of external patinas such as Bronze Antique, Bronze Liberte, Bronze Naturel, Bronze Martele to provide a stunningly beautiful blend between the ageless allure of bronze and the finest of woods. Bieber employees craft quality European style windows for generations. Bieber’s success and impeccable reputation is founded on four generations of family legacy committed to exceptional customer service, attention to detail and continuous technical innovation. 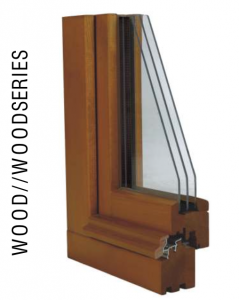 As one of the leader in crafting custom wood windows, Bieber is recognized in the windows industry, as one of the best to deliver wood windows, aluminum clad windows and tilt turn windows. Bieber is very successful in European doors adapting its production to the client needs. As well as, Bieber has been producing the authentic tilt and turn windows. Bieber European windows have all the benefit of a well thought window with the passion of craftsmanship. Our history of custom solutions, handcrafted to compliment the architectural style of each individual project, is known and appreciated worldwide including the French chateau style window, French style windows, Italian windows, German windows, and Mediterranean windows. Our commitment in energy efficiency has been unprecedented, with the passive windows, the triple pane windows, the optiwin and the passive house windows. These energy efficient windows help homeowner to achieve the Passive House design that the Passivhaus Institut is offering. Bieber has provided European windows and aluminum clad windows powder coated with a choice of 200 standard colors and bronze clad windows. We have the answers that suit the needs of the most stringent architects, and Bieber has solutions for opening walls. We offer folding doors and lift and slide doors that allow having large openings. With the lift and slide door, we can hide the panels in the wall while the doors are in open position. Perfect for parties, indoor/outdoor spaces, or simply enhancing any room, Lift and Slide by Bieber are extraordinary doorways to panoramic views. Bieber’s Lift and Slide are fabricated in both wood and metal clad wood construction styles, with numerous combinations and solutions available to suit custom applications to blend your design. Available in multiple configuration inward or outward with an active panel as a regular door, Bieber’s folding doors is the perfect fit for your large openning design in all wood series or cladded in aluminum or bronze clad series. Bieber’s entrance doors are made of solid exotic woods with standard 2 3/4 ” thickness frame and sash. They are pre-hung and prefinished directly at the factory. Solid planks are cross laminated to ensure solid, perfectly factory finished doors. Bieber Folding Doors allows large opening clearance with ease of opening. The Bieber folding doors is most frequently used to open a complete wall, creating a larger opening space with an attractive door arrangement. European energy-saving and energy creating windows and doors. Our industry has great industry standards from the design and manufacture of old european windows, tilt turn, european casement windows, windows design, windows and doors production technology, hardware and other supporting parts until the after sale service, to ensure the quality into the window or door transfers to the user. Bieber Architectural Windows has worked on award winning projects with a reputation for consistent premium services to clients.